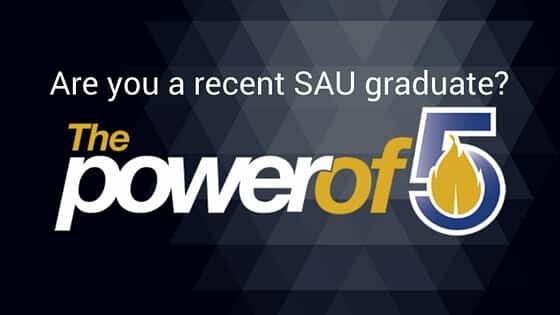 At the 2013 Southern Arkansas University Foundation Honor Societies Dinner, nineteen completed endowments were celebrated. The Charles F. and Dorothy Hunt Duncan Endowment established by Mrs. Dorothy Hunt Duncan to provide an academic scholarship. The Harold H. Fincher Endowment established by Mrs. D. J. Fincher to provide a scholarship for a student in the College of Business. 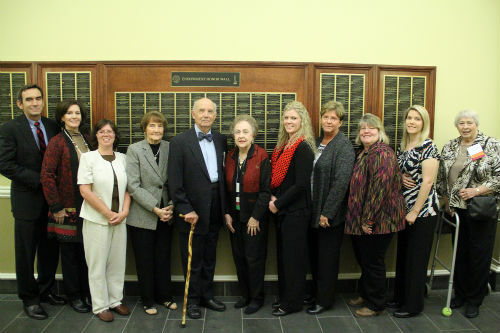 The Ron Harris Endowment established by family and friends of Ron Harris to provide a scholarship for a junior or senior level married student majoring in education. The Quelle, Lovie, and Opal Hayes Endowment established by David M. and Sarah E. Farrar Dodson in honor of Quelle Hayes Farrar on her 100th birthday and in memory of her sisters Lovie and Opal to provide a scholarship for a student with a 3.0 GPA and financial need. The Clayton Kent Hendrix Endowment established by the estate of Mrs. Bobbie Hendrix for the benefit of the SAU Department of Agriculture. The Josephine Tate McGill Endowment established by the estate of Josephine Tate McGill to provide a scholarship for a student at Southern Arkansas University. The Charlotte Maxine Jordan Miller Endowment established by Sharon Miller Eichenberger to provide funds for travel expenses for students in the College of Liberal and Performing Arts to attend and participate in off-campus enrichment activities. The James Robert Miller Endowment established by Sharon Miller Eichenberger to benefit the SAU Department of Agriculture. The William C. Nolan Endowment established in 1989 by SAU friends of political science, history, and geography to provide a stipend for a student during a legislative internship in Washington, D. C.
The Alton Clay Pierce, Jr. Endowment established by J. D. and Caroline Williams in memory of her brother to benefit Mulerider athletics. The John J. Ragsdale, Jr. and Dora J. Ragsdale Endowment established by Mr. and Mrs. John Ragsdale, Jr. to create the first endowed professorship for Arkansas Studies in the State of Arkansas. The Harold H. Fincher and Gerald F. Scott Endowment established by Peoples Bank to provide travel stipends for students who win SIFE/ENACTUS state competitions and advance to regional and national competitions. The Diane and Lamar Smith Endowment established by Mr. and Mrs. Lamar Smith in memory of E. C. Smith to provide a scholarship for a student from North Webster High School. The Warnock Student Travel Endowment established by Mary Warnock Harsh to provide funds for students to attend meetings, conferences, and performances, and to participate in other educational travel experiences. The Sonny Whittington Endowment established by former players and friends of Sonny Whittington to benefit the Mulerider Football Program.